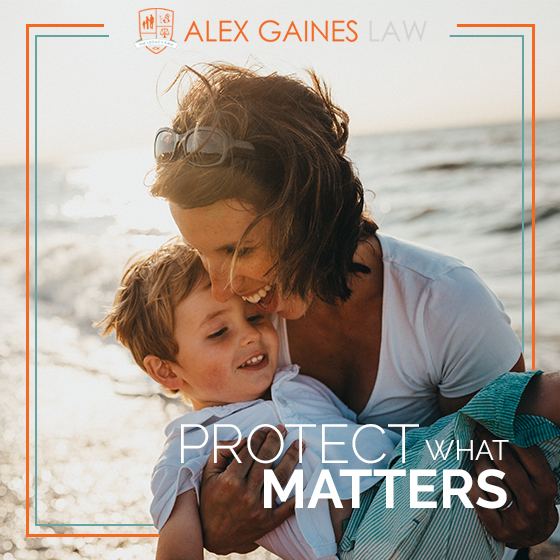 At the Alex Gaines Law, we understand what it means to be parents to growing little ones and children of aging parents. Your family matters to you and they matter to us. We specialize in creating personalized and comprehensive estate and disability plans to ensure that you are in control of what happens to you and your family if you die or become incapacitated, and to memorialize your financial, personal, and family legacy. We value relationships with our clients. Your family will grow and change, you’ll acquire more assets, and key people listed in your plan will have life changes. We stay in touch with you and help ensure your plan is maintained over time to keep up with life’s inevitable changes. Alex and team were professional, knowledgeable and went the extra mile to help my wife and I prepare our will and testament. We are super busy and she was so flexible In gathering the info she needed. She treated us like family and provided a thorough consultation and document creation for a very reasonable price. Very glad we have the peace of mind after setting up our Will for our two young boys. Thank you Alex! Alex was absolutely wonderful in the free seminar about estate planning. There are things that I thought I knew but many things that I did not. So very important to get your affairs in order for yourself but especially for your family. Thank you so much, Alex and will see you soon! My experience with Alex Gaines Law was unlike any other experience I’ve had with previous lawyers. Attorney Gaines is so friendly and pleasant and she goes above and beyond. Mrs. Gaines was very patient and informative about the whole process of planning our estate and will. Alex and her staff were pleasant to deal with every step of the way. Would recommend her practice in a heartbeat. Working with Attorney Gaines was a pleasant experience. She has the patience of Job. Her explanations were second to none. Often times I couldn’t make it at the appointed time because I travel often with my work, she maintained her professionalism at all times. I have an excellent plan that covers all areas, and I like that. Thank you Attorney Gaines. SIGN UP FOR A OUR FREE NEWSLETTER! ©2018 Alex Gaines Law - Do not copy. All rights reserved.